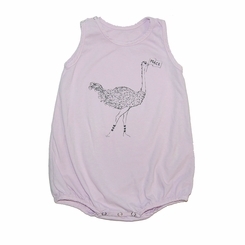 Simple cut to this adorable bubble onesie. 100% organic cotton. Made in the USA.